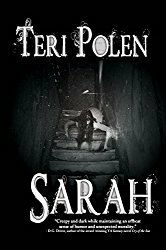 I’m such a fan of The Girl From the Well series by this author – such vivid, chilling imagery and a couple of the best YA horror novels I’ve read. When I saw this new fantasy series, I jumped at the chance to request it from NetGalley. 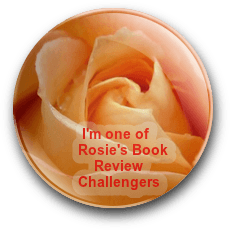 The author has created a colorful and captivating world with intricately designed huas worn by the ashas and varying shades of heartsglass that can reveal a person’s thoughts and health. That being said, the narrative seems bogged down at times with the detailed descriptions of the huas and I skimmed several sections. Tea, Fox, and the supporting characters are all well-drawn and engaging and I liked the alternating chapters of future Tea’s warnings of what’s to come. This novel had the feel of laying the groundwork for the meat of the story and the pacing was somewhat slow for my taste – honestly, not a lot happens, but it allows the reader a good grasp of the world and characters and hints at substantial wars and conflicts to come. I have high hopes for book 2 in this series. 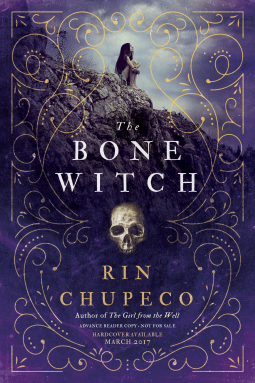 The Bone Witch is scheduled for publication March 7th, 2017. Ooooh that sounds creepily exciting! Hugs. Yes, there was creepiness along with beautiful huas – and some excitement every now and then – hugs, Teagan! This is perfect for you if you like dark fantasy, Diana – you should also look into Three Dark Crowns by Kendare Blake. Believe me – I know about ridiculous TBR piles. Ha ha. I bet you do!